One of the largest playgrounds in the United States, Smothers Park has something for everyone. 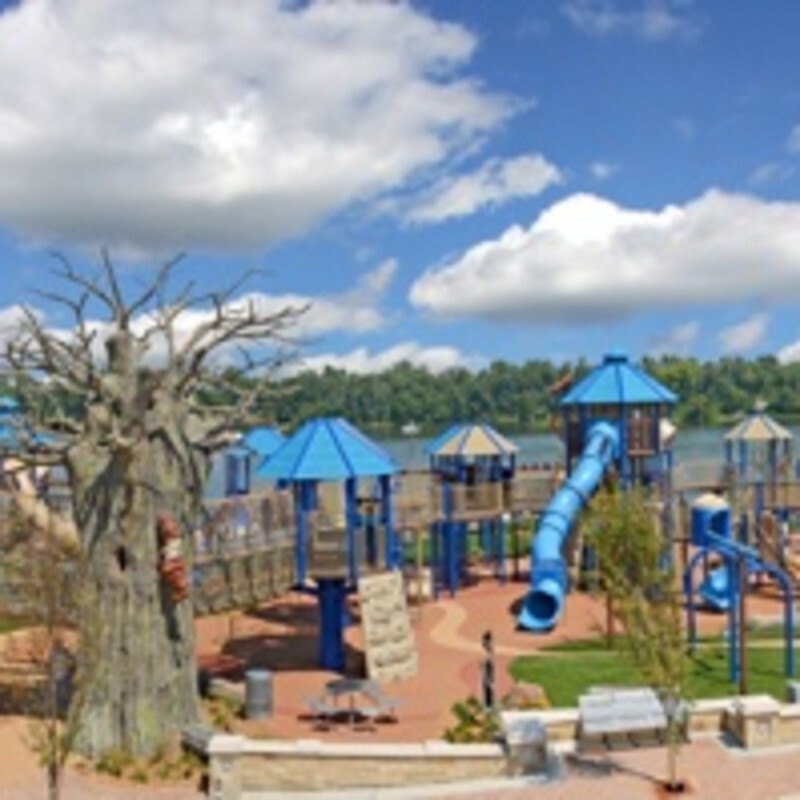 The park is located right on the Ohio River, providing a gorgeous view for parents to enjoy. Adults and children alike will love the relaxing sounds coming from the three signature fountains that have cascading waterfalls and four water shows every hour. The Lazy Dayz Children’s Playground is wheelchair accessible and features soft ground material for safety. The splash pad area provides fun for kids of all ages as they explore the sprayers. The playground also features unique 30-foot elevated walk through trees.